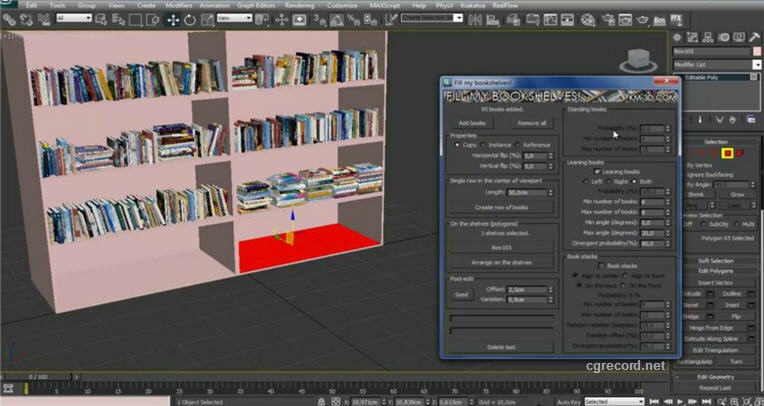 Deverloped by Kamil Małagowski Fill my bookshelves is the 3dsmax script which made for 3d interior artists to help them with a process of arranging books on shelves. "Fill my shelves!" script can do this in a lot of unique, natural looking ways.